Look at what I’ve uncovered from my Dropbox camera uploads! A very short 15-sec video clip showing that my toddler is reading at 2 years and 9 months old. As I’ve mentioned previously, it can be tricky trying to take a video of Kaden reading. Whenever he spotted me holding up my smartphone, he would be curious and wanted to come over to peek at what I was doing. If he realized that I was taking a video, he would get distracted with his reading and try to read in a funny way. So I hardly had the chance to capture him reading before 3 years old. This video was taken over 3 months ago and I didn’t get around to uploading it till now. He was reading a page from “We Have Fun” by W Murray, Book 2a from The LadyBird Key Words Reading Scheme. Under this ‘a’ series of books, new words are gradually introduced and repeated over the pages. 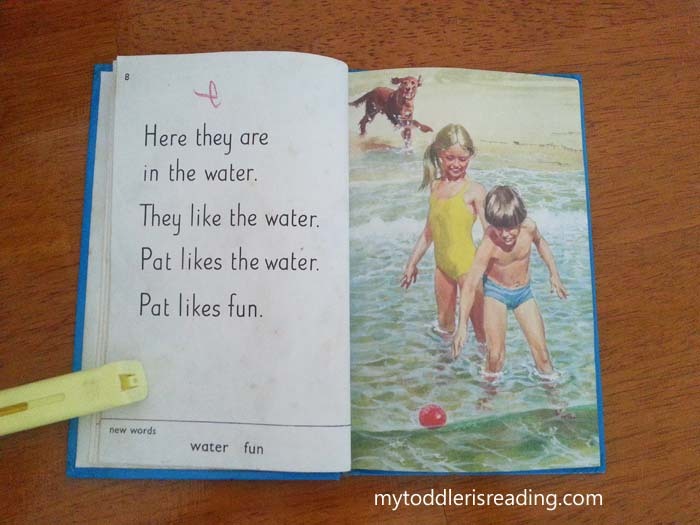 As you can see from the bottom of the book page, there are two new words – “water” and “fun”. The word water is repeated 3 times out of the 4 sentences! Repetition for young readers is good thing as it builds up language and vocabulary skills. The book was once again, passed down from Kaden’s older twin cousins. It’s probably an old version and I’m pretty sure Ladybird has updated their Key Words Reading Scheme series of books. I consider it as Kaden’s good fortune to have these old books for me to read to him and also for him to build up his reading skills. Without these, I might not have thought of buying such readers for him. He loves to pore over the illustrations and sometimes will ask me questions about what he could see from the illustrations. When that happens these days, I’ll take the chance to urge him to read the words so he can understand the pictures better. Do you buy similar key words readers for your child to practice reading? What are your thoughts about the effectiveness of such key words readers? I love this and I want to teach my 3-year-old daughter to read like him. You can certainly teach your little girl to read too. 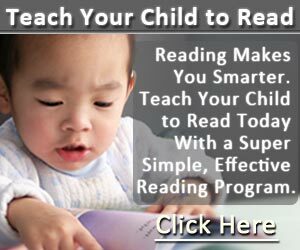 I’ve used a reading program to teach him to read and you can read my review of the program here.